WASHINGTON—Americans are a fickle lot. They create celebrities out of those they adore, and then hate them for acting like celebrities. Thus, we want our politicians to be one; we just don't want them to act like one. And what does acting like a celebrity mean, anyway? If you're Barack Obama, it means that you fill stadiums with hopeful voters who can't get enough of you. If you're Michele Bachmann, apparently, it means you worry too much about hair, makeup and lighting. Nonsense. A woman can never worry too much about hair, makeup and especially lighting if she's on camera. If a woman isn't concerned with her appearance, you can be certain everyone else will be. The same folks who are now accusing Bachmann of "acting like a celebrity" and being a "diva" would talk about how dog-tired and haggard she looks if her handlers didn't make sure her props were in order. Before long the word would be out: She can't take the heat. She's exhausted. Any minute now, a migraine. The Bachmann-as-diva meme took off in the past several days and now has become entrenched as, here we go, her "narrative." Politico reported that she campaigned in Waterloo, Iowa, "like a celebrity." "And by 'celebrity,' they mean diva," wrote New York magazine. According to Politico: "She camped out in her bus, parked on the street in front of a nearby Ramada Hotel, until it was time to take the stage. ... It was not until a second staffer assured her that the lighting had been changed and a second introduction piped over the loudspeakers that she entered the former dance hall here. By the time she made her big entrance to the bright lights and blaring music, the crowd seemed puzzled." On "Morning Joe" recently, several male commentators continued the diva storyline while co-anchor Mika Brzezinski rolled her eyes. Coincidentally, Brzezinski was the lone woman among five or six men on the set who were mincing the lone woman in a presidential race. Is it something about women? Or is it just this woman Bachmann? We understand that women shouldn't require or be accorded special treatment in the professional or political world. But we also should acknowledge that women face special challenges when they enter the all-male fray. Not only is politics at this level an old boys club—and don't ever doubt it—but women do face harsher scrutiny and, let's face it, their appearance is part of the package. Is it fair to criticize Bachmann for tardiness? Sure, but it takes longer to put on lipstick than it did to make the leap from late to diva. In politics, which is theater after all, getting the lighting right is just as important as making sure the microphone works. 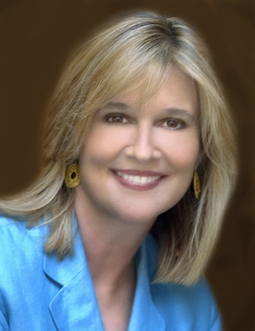 Kathleen Parker is a columnist for the Washington Post Writers Group.